Bulk Hopper Vent Dust Bag | Products | BGRS, Inc.
A dust sock or dust bag is frequently used when a hopper or vent was not originally installed with a dust collection device. A small dust sock may be appropriate on a small hopper where venting (low volume, low velocity) air displaced by product flowing into the hopper is necessary to reduce dust emissions. The sock can be removed for manual cleaning or replaced routinely. 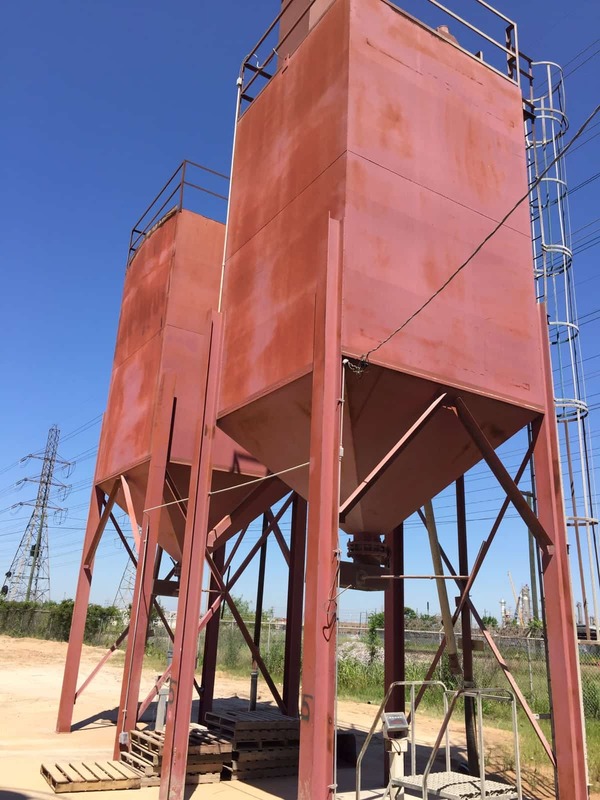 A bulk storage hopper may have originally used a series of baffles to control displaced air. Some local codes require the installation of additional filters. BGRS manufactures a flanged adapter that can be bolted or welded to third-party hoppers to achieve compliance with emissions requirements. A custom filter bag hangs from the manufactured supports. A zipper is sewn into the bottom of the filter bag to allow manual unloading of dust. For smaller structures, with low airflow requirements, BGRS offers a flanged housing with a weather-hood and support cage manufactured in a 10” size flange with 150# ANSI bolt pattern from 304 or 316 stainless steel.